842 Computer School — Change Agent Network, Inc. The 842 Computer Training Center otherwise known as 842, is our hi-tech computer technology hardware and software educational initiative for the impoverished people of Liberia. The 842 Computer Training Center works on our daily low cost fees payment system that offers students computer knowledge and career development opportunities in the modern world; thereby making computer education and skills available, accessible, affordable and attainable to the Liberian children and people. To provide affordable computer knowledge and education technology program to impoverished Liberians. 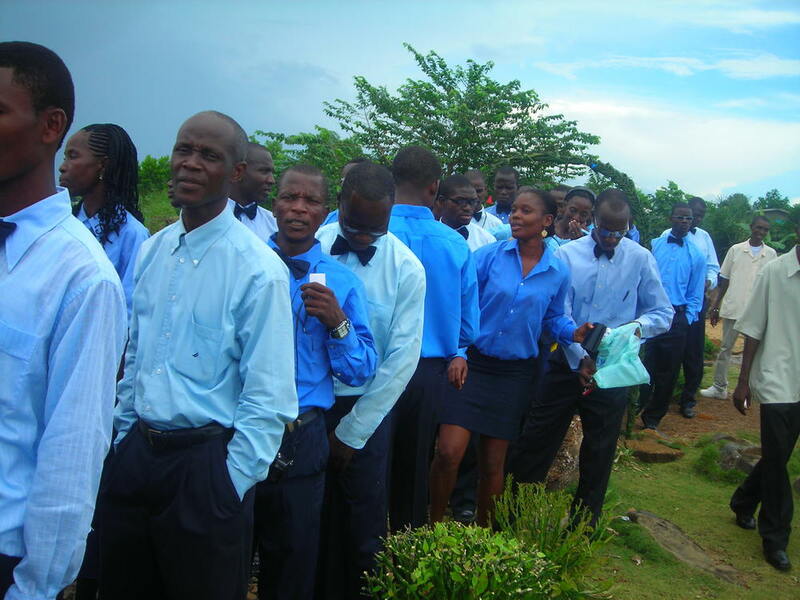 10 Cycle Graduation Ceremony 2015 at the New Breed Center, City View, Lower Johnsonville Liberia. 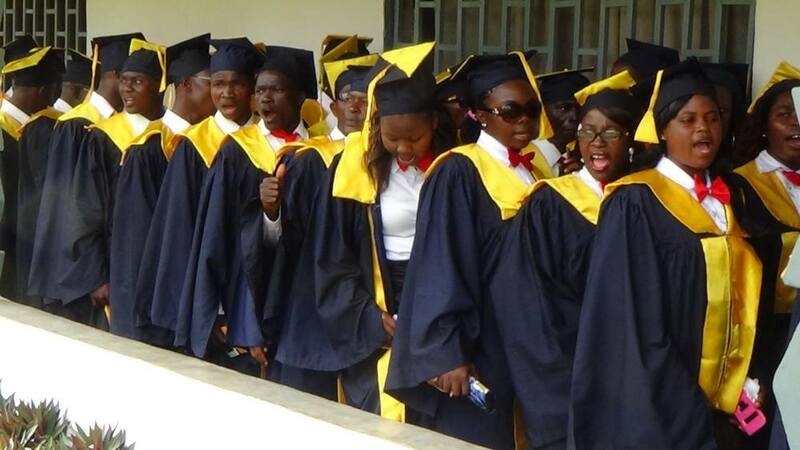 Our 842 Computer Training Center located at the New Breed Center in City View, Lower Johnsonville Liberia, had their 10th cycle grown-up graduation ceremony for the class of 2015. For this 2015 training cycle, there were a total of 65 students enrolled into the program from the beginning of the training but 46 individuals graduated. 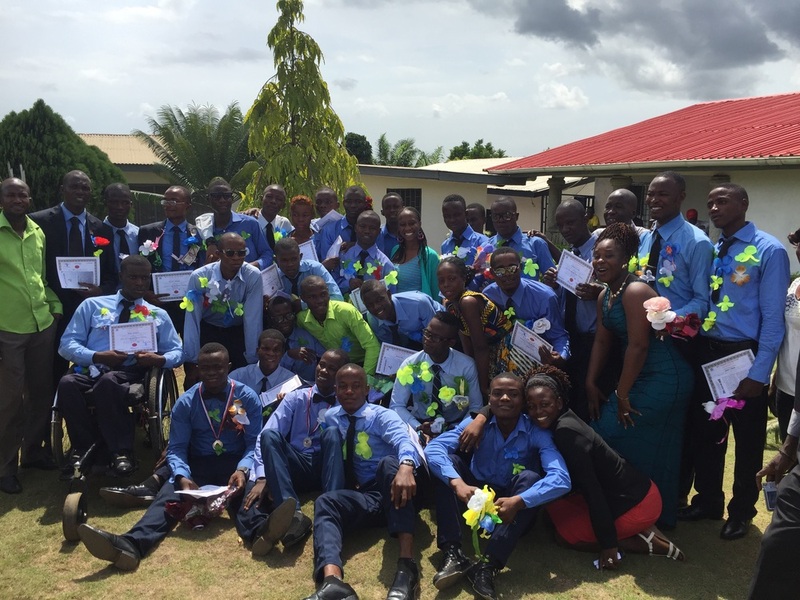 The graduation program was held on Sunday Dec 13, 2015 at the Christ New Breed Church in the Rehab Community in City View, Lower Johnsonville Liberia. Diplomas and certificates were presented to the graduating students by our partners and members of our Louisiana USA based Mother team that were in the country at the time of the program. Team members and partners included Dr. John Tetnowski, Dr. Hal Langford, Ms. Christy Pennison, Pastor. Marti Thomas and Eric Wowoh. The Keynote address was given by Dr. John Tetnowski of the University of Louisiana at Lafayette. The world’s richest man, Bill Gates, who still does not have a college degree, used the power of modern technology to revolutionize the entire world. He has used his God given mind to create the economically booming Microsoft Corporation. The late Steve Jobs is another person who used his God given mind to radically changed the way we live, communicate and transact business globally today. These two individuals have positively affected the life of every person in our world. We at Change Agent Network, strongly believe that there are more Bill Gates and Steve Jobs out there, especially in under-resourced communities. Third and fourth world nations don’t have money, education or opportunities but they have their God given mind. They can impact their world and get themselves out of poverty through the creating and applying of modern technology. We live in a hi-tech world, called the information age or global village, in which a personal computer has radically changed the way many of us think, function and live. With its amazing resourcefulness, it has found its way into every aspect of our human existence. Knowing how to operate a computer is a requirement for successful living in today’s world. Poor people who don’t have access to this rapidly evolving modern technology have no opportunity to learn. Those left out of the hi-tech labor market struggle to get a decent job in this day and age. This is a serious problem that must be corrected for the current generation and changed for the next generation of Liberian children. There are many promising careers today that require a basic knowledge of computer functions but are normally out of the reach to the poor in Liberia. Computer literacy plays a significant role in job security. A potential high school graduate who demonstrates outstanding computer skills, is more likely to be offered job before a college graduate who doesn’t know how to check his or her e-mail. Change Agent Network and partners provide all of the startup funds and training materials, including computers and technological equipment to the school. Equip all computer classrooms with projector screens for an effective and efficient interactive video training system. All training software and hardware courses offered in the schools are made available to individual students on CD, DVD, or installed on a central processing unit server. At most two teachers per school to monitor and facilitate the training sessions. One student to one computer training session once a day for two hours, five days a week for three months. Where possible provide internet access and further online technology training for professional career development. Note: Number 8 and 9 from the above list, are programs that we hope to be able to provide to our students in the future when we have the funding and infrastructure put into place. All of our current computers, training equipment and other learning materials in our schools across Liberia were donated by the American public. The donated materials from the U.S.A are normally collected through our program called, Yesterday’s Treasure, Tomorrow’s Hope. Visit yesterdays-treasure-tomorrows-hope for information. 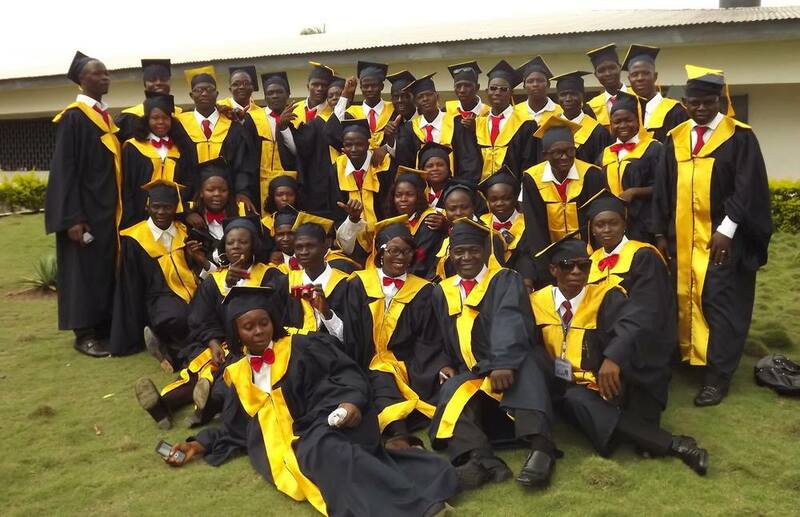 In this program, we have successfully trained and graduated over 1400 students within the past seven years both in Nigeria and Liberia. Many of whom are gainfully employed or self-employed and meaningfully contributing to the development of society today. One former student, Mr. Jerolinmek Piah, is the current Presidential Press Secretary to President Ellen Johnson Sirleaf of Liberia. Our first computer technology school is located at the New Breed Center in the Rehab Community, City View, Lower Johnsonville, Monrovia Liberia. Our second computer technology School is located at the New Breed Center in the Nyantasu Community area of Gbarnga, Bong County, Central Liberia. Our third computer technology school is located at the Change Agent Network University main campus in Fissibu Town, Zorzor District, Lofa County, Northern Liberia. Our goal for Liberia, is to build and fully equip 30 computer training centers in and around the country with two schools in each county of the 15 counties of the nation. 842 Computer Training Center, Zorzor District, Lofa County, Liberia. 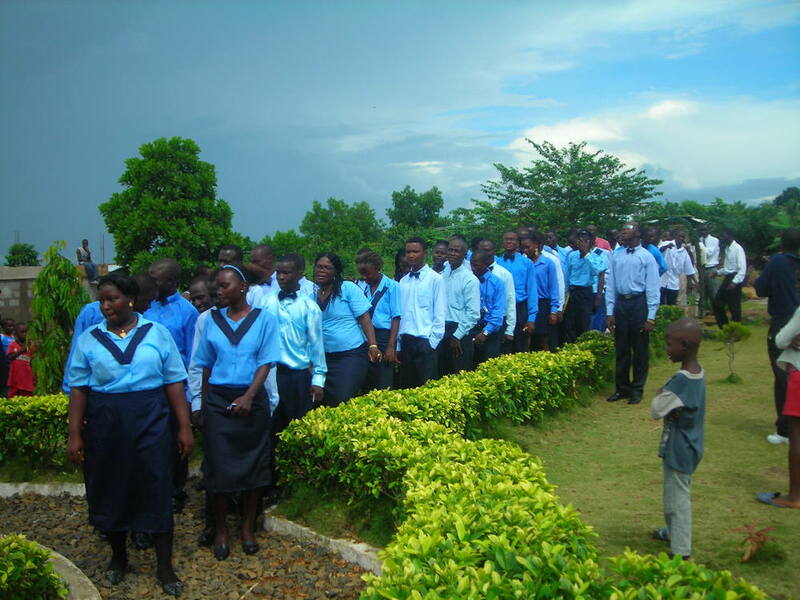 The Change Agent Network’s (CAN) 842 Computer School located in Fissibu Town, Zorzor District, lofa County, on Saturday February 13, 2016, graduated 64 students from its five months’ beginner’s computer training program. Congratulation to the graduating class, we wish and pray for the best in life for every one of them! 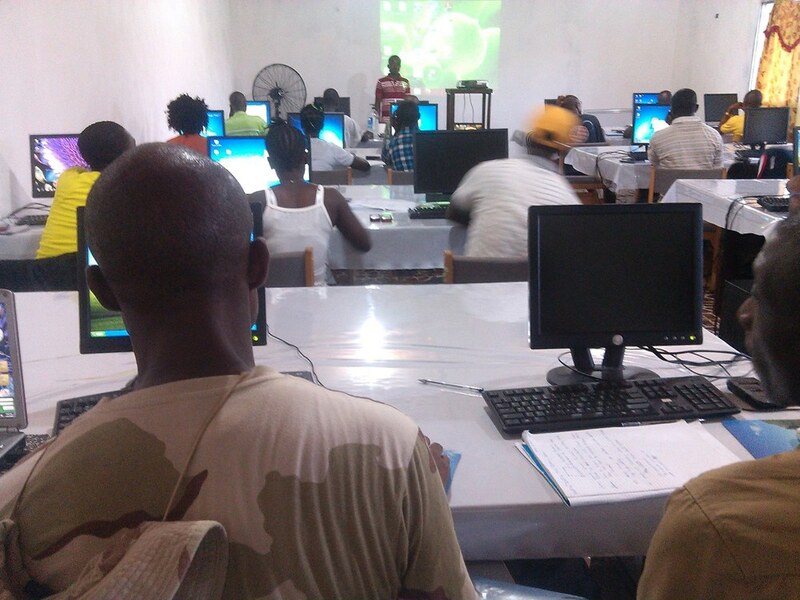 This is the 842 Computer Training Center’s second cycle graduation program since its establishment in Lofa County January of 2015. In a little while, we are expecting the graduation of 19 additional students from our A+ Advance Program at the school. By the end of this 2nd cycle training section, CAN would had graduated a total of 83 students thus far in 2016. This is a historical accomplishment for CAN because this has never, ever happened before in the history of Liberia. The school is the first of its kind in the second largest county of the entire Country. Many thanks to our new Country Director in Liberia, Mr. George A. Thomas for working with the local people in the area in making this program a huge success! This is a milestone achievement for all of our supporters, partners, friends, family members and the local hard working community on the ground in Liberia. These people feel lost and neglected, they are desperately thirsty and hungry for education. In 2003, Eric Wowoh was given a desktop computer by a very good Nigerian friend and brother of his Mr. Desmond Ovbiagele as a gift with the intention of Eric learning how to the computer. 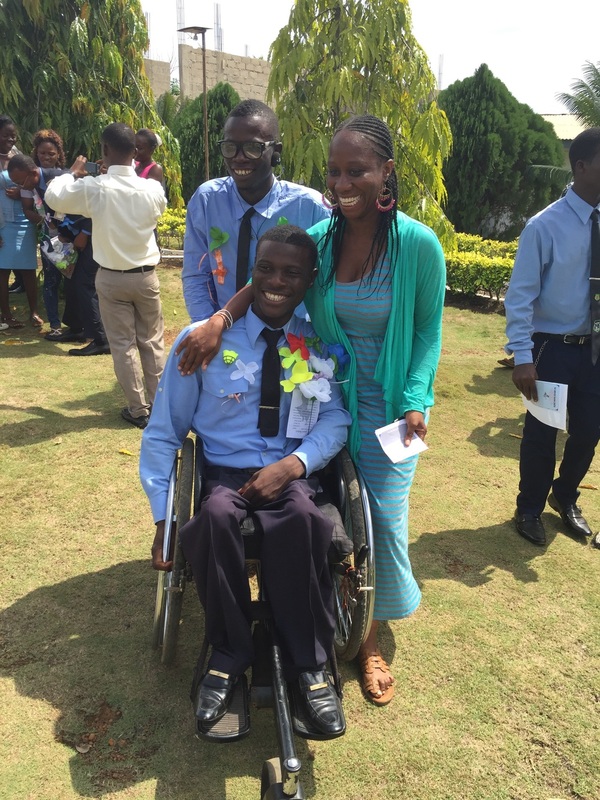 Mr. Desmond hired a fellow Liberian refugee, Mr. Edward Tambal, for a few months to train Eric in basic computing. Eric took that one single desktop computer developed it and multiplied it into a conventional community based computer school for fellow refugees and members of the surrounding host communities. Eric Wowoh with no prior training in anything, built two computer training schools in the refugee camp, trained and graduated about 700 refugees from all over the continent of Africa such as Sierra Leone, Sudan, Ethiopia, Somalia including citizens of the host country (Nigeria). Eric and his partner called the computer training centers in the refugee camps; The 842 Technologies Computer Training Center but now the program is called 842 Computer Technology School. 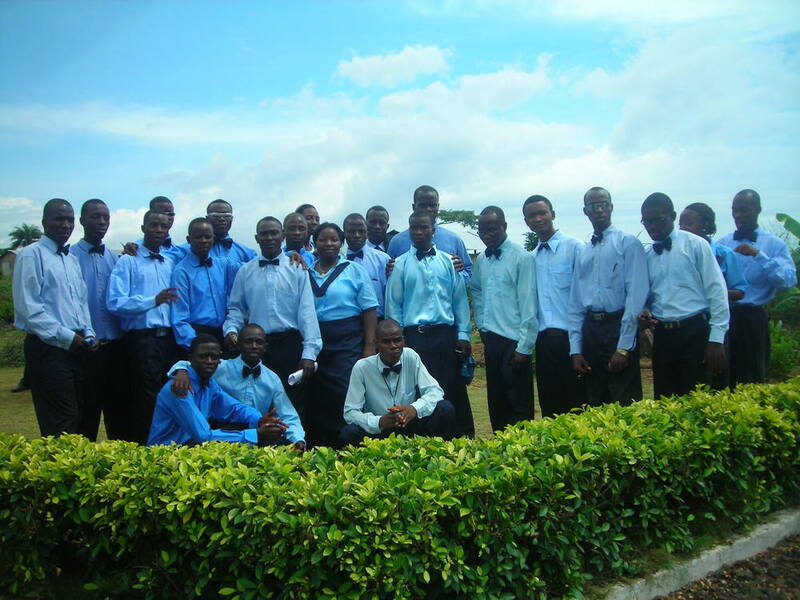 In 2004, following the resounding success of the establishment of the computer program in the refugee camp in Nigeria, Eric took the initiative with support from his partner Mr. Desmond once again, volunteers of fellow refugees from Liberia to extend their developmental work to their war ravaged country. The expansion of Eric’s work to his home country Liberia started on a 1 acre land that was purchased in the Rehad City View Community area in Lower Johnsonville, Liberia. 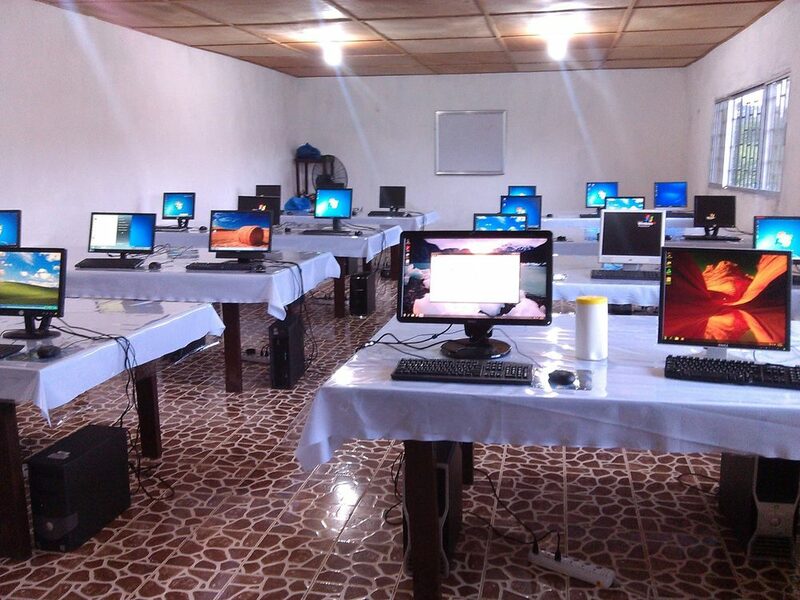 The 842 Computer Technology School Program for Liberia was launched with a brand new school building, 11 desktop computer sets and accessories and one power generator plant to provide electricity to the center. In 2006, Eric was awarded with the Rare Gem award by the Women’s Optimum Development Foundation for his contributions to humanity, service to women and children. He was honored in commemoration of National Women’s Day. Towards the end of 2006, Eric Wowoh was brought to Lafayette, Louisiana USA on a refugee resettlement program administered by the American Government and the Migration and Refugee Services of the Catholic Diocese of Lafayette Louisiana. According to Eric Wowoh, the whole idea behind the expansion of his amazing work to Liberia was to take away guns from young people and give them hope and opportunity by providing them with free computer skills to help prepare them for the future labor market of Liberia. This program was also intended to assist them become useful and productive citizens of the world in the rebuilding process of their destroyed nation. “The children are the future of everything we do today! But Liberia since its independence in the 1800's have unfortunately paid no serious attention to her future, as a result, children whereto fight in a senseless civil war they did not decide or had any knowledge of at all. In Eric's opinion, the destruction of lives and properties in Liberia, was all because of greed, corruption, generational neglect and total lack of concern for fellow human beings by past generations. Eric’s ultimate goal is to give back to the next generation of his country so that they can have something important to give to the generations followingand leave the country better than they met it! 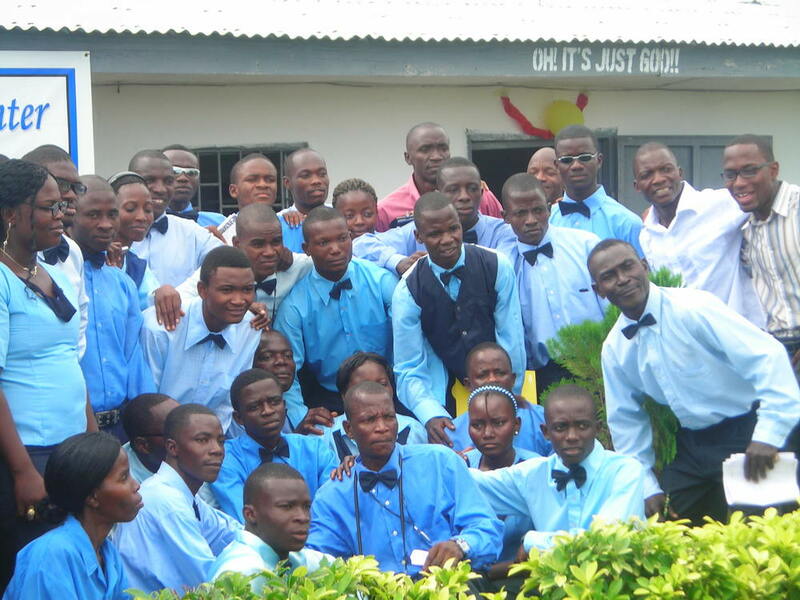 In the last 8 years the 842 Computer Technology School Program in Liberia has trained and graduated thousands of people from all around the country.